The weekend of September 23rd and 24th marked an important milestone in cross-cultural esports competition and thought leadership. 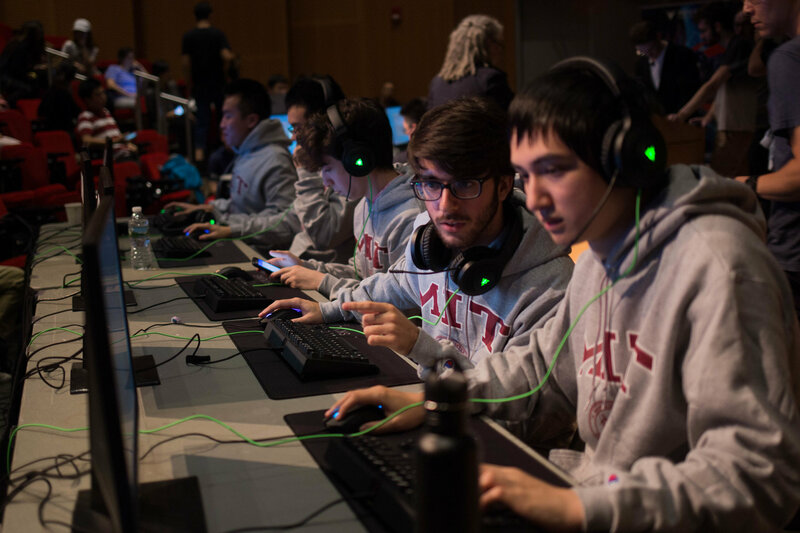 The Massachusetts Institute of Technology’s Game Lab partnered with Chinese gaming giant Tencent Esports to co-host an esports event on the MIT campus. The event, dubbed “MIT x Tencent”, was a two-day showmatch and lecture series featuring teams and speakers from some of the most influential organizations around the world. Peking University’s League of Legends team. The event featured not only friendly matches of League of Legends between Peking University and MIT but also friendly matches of Tencent’s popular mobile game, King of Glory. This event marks Tencent’s first public U.S. demo of their new mobile MOBA game 王者荣耀 (often translated into Honor of Kings or King of Glory). Already a massively popular game in China, an American debut hosted by Massachusetts Institute of Technology seemed very fitting. In addition to a few speakers from various organizations, Tencent also brought Peking university’s League of Legends team to compete against a couple of MIT’s League of Legends rosters. The first day started off with regards and sentiments from the MIT Game Lab staff, Professor TL Taylor, and Studio Manager Rik Eberhardt. The over 150 strong audiences applauded as the staff announced that the first event would be a League of Legends show match between Peking University and MIT. Peking University was able to easily demolish the first MIT team but was met with much more resistance in the second match against MIT’s primary roster. After a grueling 40 minutes of fighting, MIT shocked the audience by emerging victorious over the Peking University team. This was considered a huge upset by many in the audience due to the Peking team having former League of Legends star, Yu “Misaya” Jingxi as their coach for this showmatch. Yu “Misaya” Jingxi spectating the matches. After a round of handshakes and quick speeches, the event swiftly moved on to a friendly Kings of Glory match between MIT graduate students and Nanjing Technological University’s team. Tencent came well prepared with a slew of promotional videos about the game that highlighted the game’s deep roots in the Three Kingdoms period of Chinese history. The players were then shuffled into two random teams and North America got its first taste of the mobile sensation. After around 20 minutes of fast-paced action, the blue team emerged victorious. The day concluded with a friendly round of gifts from each side to the other followed by an MVP selection ceremony hosted by Misaya and the two Emerson College shoutcasters. While each speaker brought their unique perspective about esports, it seemed that the hot topic of discussion was the future of esports in terms of education and infrastructure. Specifically, Mars Hou spoke to Tencent’s commitment to educational initiatives that bring new talent into the scene. This was then further expanded upon by Lu Jingchao of Communication University of China who talked about the steps that her university was taking in formalizing education and awareness for esports in academia. There was a resounding feeling of camaraderie between brands, gamers, and academic institutions in the room when it came to esports education. Regardless of culture or background, it was understood that the ESPN’s and Tencent’s of the world would have to invest in education. Lastly, the speaker series culminated into a roundtable-style discussion where attendees got a unique chance to participate in the conversation.